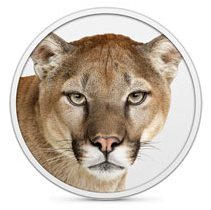 Apple to Launch OS X Mountain Lion on July 25th? Apple's set to release the latest version of OS X later this month. OS X Mountain Lion (10.8) is a $19.99 upgrade that will be available on the Mac App Store. The latest Mac operating system contains a number of improvements and features. The list includes Reminders, Messages, Notification Center, Power Nap, Dictation, Gatekeeper and many more. Apple has only said that the new version of OS X will launch in July, but 9to5Mac now speculates that Apple may be launching the new version of OS X on July 25th. The reasoning comes from reports that Apple Retail stores will be performing overnight updates to stores on July 24th. Those updates could include the posting of marketing information and OS installations of OS X Mountain Lion to store computers. While the exact content of the overnight updates aren't yet confirmed, the timing would also correlate with Vacation blackout days that MacRumors had heard from several employees at a thirty-party firm that offers technical support for Apple products. I've always been slow to adopt apples newest os and os updates. Only retarded or new os x users adopt early updates. But I will never upgrade to mountain lion. I don't need sand boxing or fewer features or iOS like options. Screw apple. MacRumors needs to return the downvote button. Clearly you haven't had a chance to get your hands on the new OS yet, but I can assure you that there are many more changes and refinements under the hood than the additional "iOS goodies" Apple has sprinkled on top. I have been using this as my primary OS for a few months now and my computer has gotten a breath of fresh life as far as speed and feeling lightweight. Don't expect any major overhauls for interface or core technologies until OS XI, if that ever exists. And hey, if you don't want the new features, by all means don't use them. You have that option, unlike another company's competing operating system. they also speculate that there wont be any updated hardware WTF!!!!!! seriously whats going with the iMacs is anyone with me? I hope 2012 iMac rumors start to trickle in now too. I think many will be disappointed if the iMac and Mac Mini don't get Ivy Bridge updates along side the Mountain Lion release. Is this only a upgrade or can I download it to make a clean install? Also, all revisions of Lion that I got in the torrents and all the previews of Mountain Lion I've tried are buggy in my computer (iMac late 2008 3.06gh C2D and 4gb mem) so what if I pay for this Mountain Lion and it's still buggy? You can always download and make a bootable USB to make a clean install. But are you that worried about $20? I've always been slow to adopt apples newest os and os updates. Only new os x users adopt early updates. But I will never upgrade to mountain lion. I don't need sand boxing or fewer features or iOS like options. Screw apple. Mountain Lion is incredibly fast blows away Lion, a must upgrade from the get go. Is it that hard to remove damn white colour background from the image? Make it transparent. Looks better. If that's true, they have a lot of work to do. If they ship 10.8 GM in its current state, then that's going to be downright embarrassing. There are so many graphical and aesthetic glitches it's not even funny. There are issues with kernel panics on Nvidia hardware, issues with sleep affecting nearly every pre-2012 Mac Pro, ColorSync support is broken, etc. Their developer forums are literally overflowing with complaints, and every single bug report I've filed (over 23 in total) has been flagged as a duplicate of another bug. There has to be a second GM. The first is simply too broken. You don't release something with that many "known issues" and confirmed bugs as a retail shipping product. If that's what we have to look forward to- crippled and broken GM releases with patches a few months later (where something is always broken all the time)- then I question the stability of OS X as a reliable platform and Apple's ability to actually push out working code. Woah, you and me are just two peas in an iPod! I have been using this as my primary OS for a few months now and my computer has gotten a breath of fresh life as far as speed and feeling lightweight. You have no idea how happy it makes me to hear that; as much as I love Lion, it seemed a bit... lethargic from the beginning. I'm hoping Mountain Lion is to Lion as Snow Leopard was to Leopard. So we should all stay on whatever OS you deem appropriate or we are retarded?